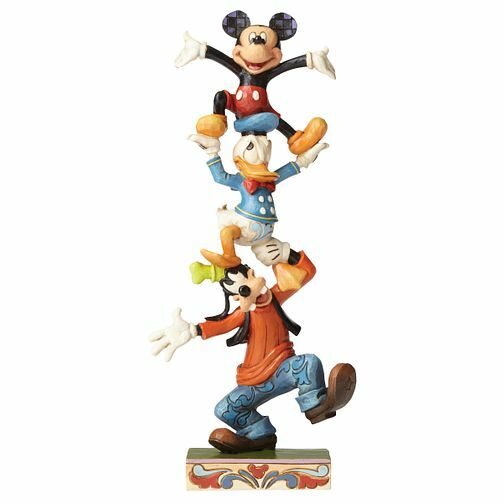 This stacked design features Goofy, a choleric Donald Duck and a triumphant Mickey Mouse on top. The resin figurine is beautifully handcrafted in the whimsical folk art style that is unmistakably Jim Shore. Not a toy or children's product. Intended for adults only.